David studied Creative Writing and Publishing Studies at Middlesex University and worked as an editor of an emigration magazine for seven years. His passion is football - playing, watching and coaching. He currently manages a youth team in Sussex. The Alfie Jones series of books is a natural progression from these loves. 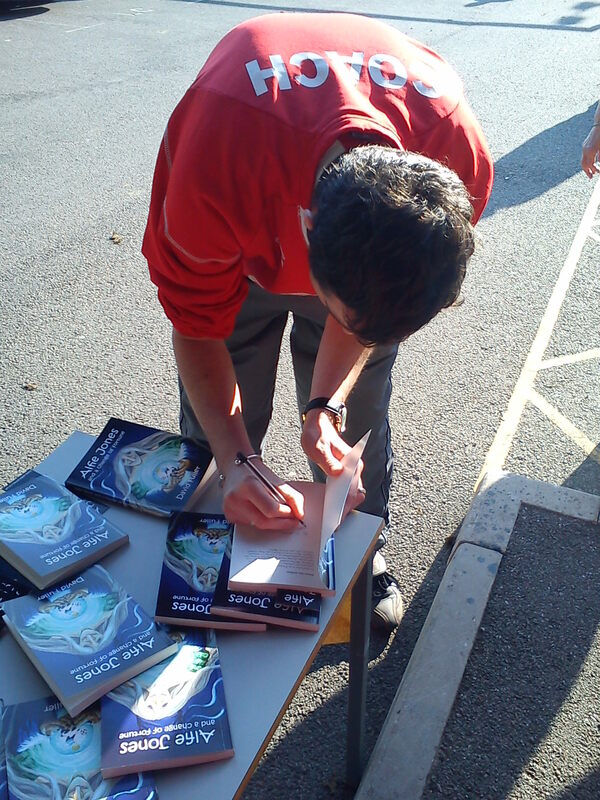 He is particularly passionate about encouraging reluctant readers and is delighted with the feedback he has received during his school visits from both the teachers and the children. 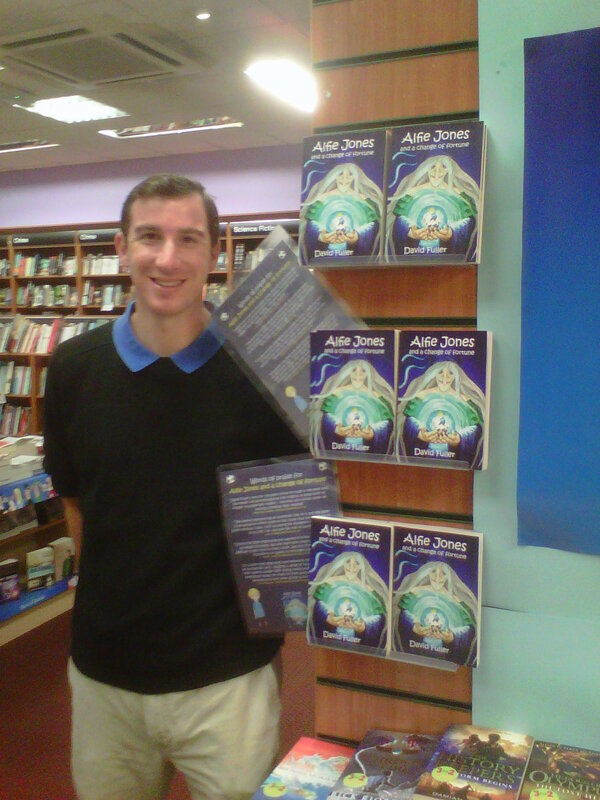 The Alfie Jones series is perfect for any football mad youngster, boy or girl, who yearns for football success, not just winning the FA cup but progressing within his/her junior team. Parents will also identify with Alfie's hopes and dreams. My office is where the 'magic' happens. 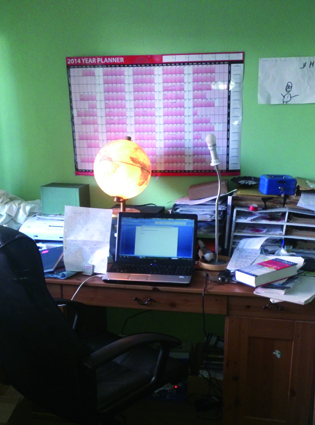 My desk is remarkably tidy in this picture - there's normally a lot more paper with scribbled notes floating about. 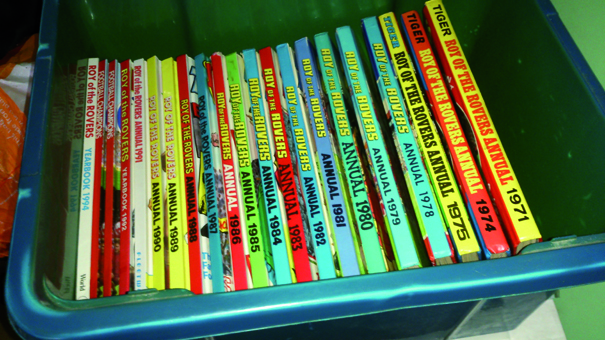 Today my collection of Football Picture Monthlies and Roy of the Rovers annuals are used purely for research purposes. Honest! Have you alway enjoyed reading? Yes. 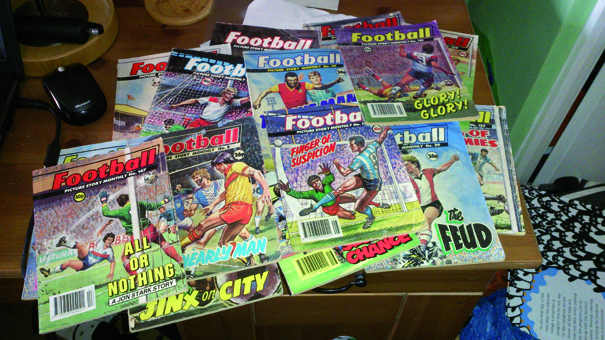 I used to love reading Roy of the Rovers comics and annuals when I was younger, and there was also something called Football Picture Monthly. I'd spend hours reading these. I was also a massive fan of Roald Dahl books (still am) and enjoyed Enid Blyton's Secret Seven. Type of books you like reading? NO! I have a mild case of something called dyspraxia. No one - and I mean no one - could read my writing until I was about ten years old. I still loved telling stories,though. Do you have somewhere special to write your books? I have an office in my house. I love the idea of being able to take my laptop, or a pen and paper, and head off to a park or cafe and write. The truth, though, is that I'm too easily distracted and wouldn't actually end up getting anything done! How long do you spend writing a day? When I'm in book writing mode, I generally spend around six or seven hours a day in my office. Most of the day will be set aside for writing, with maybe an hour or two of editing. Since I was about 13 or 14. Originally I wanted to be a professional footballer, but I was nowhere near good enough. When I was halfway through secondary school I decided I'd one day like to be a sports journalist, and from that moment on I aimed to become a writer one day. Average. I was never really naughty, but did talk a lot and only really concentrated on things that interested me. I was a little bit lazy to be honest, and didn't always put in an awful lot of effort. Looking back on it now I could have done a lot better! Robbie Fowler, aka 'God'. Says it all really. Blur are my favourite band, although I like most things from the 1990s Britpop era.